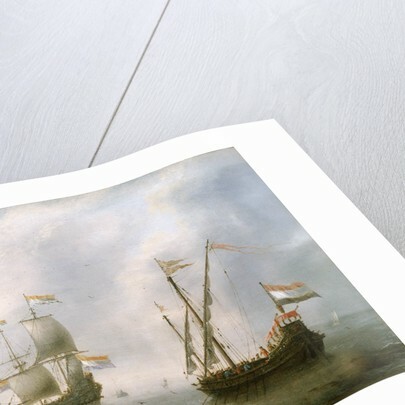 A Dutch galley and man-of-war on a calm sea. The man-of-war in the foreground to the left flies the Dutch flag, and there is a small coastal craft laden with people in the immediate foreground to the left. 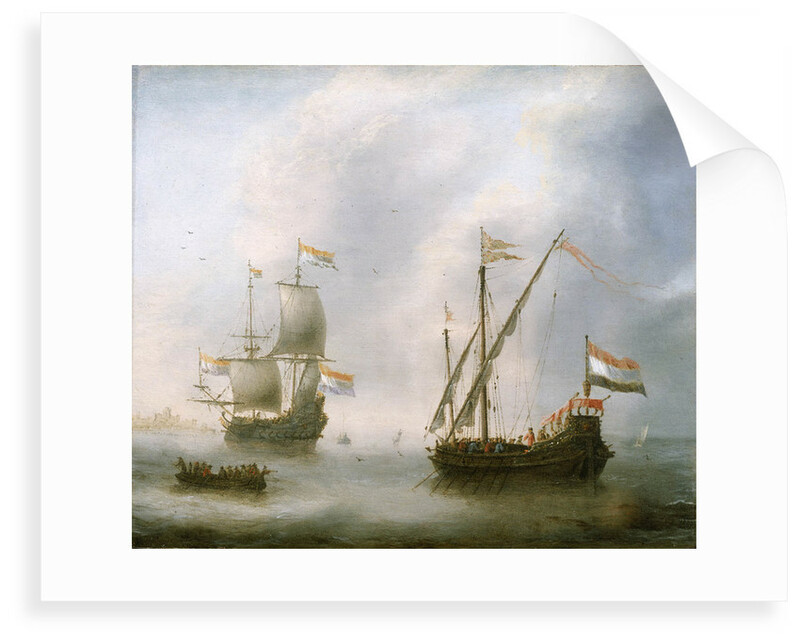 The Dutch galley to the right also flies the Dutch flag and pennants, and has its sails furled. 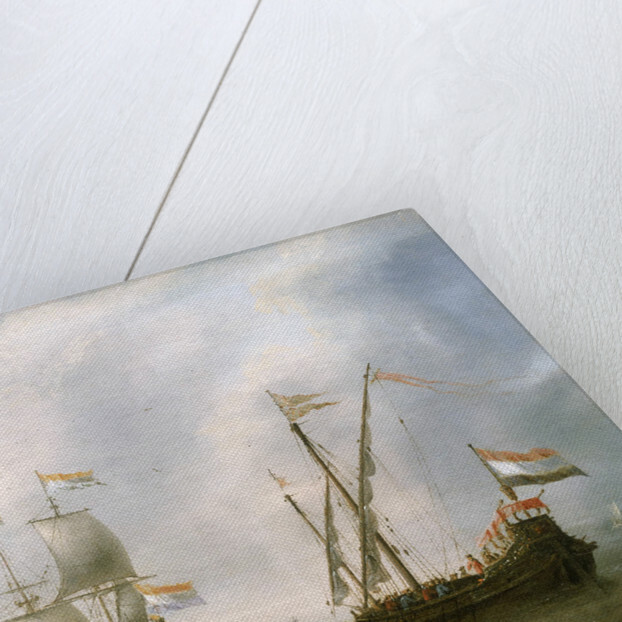 The artist has signed his name on the flag of the galley. More by the artist Jacob Adriaensz Bellevois.